You must make reservations at least 5 minutes in advance of the time at Lombardo's Trattoria. Valet Parking on event nights and weekends. Experience our authentic Italian cuisine, specializing in signature pastas, hand-cut steaks and fresh seafood as well as excellent chicken dishes, served in an upscale atmosphere. Located downtown by Union Station, Lombardo's Trattoria is the perfect place for a romantic dinner before the next concert, or event at the nearby Fox Theater, Stifel Theatre or Enterprise Center. With private banquet rooms for groups from 10 to 100 Lombardo's Trattoria is the perfect place for your next corporate function, rehearsal dinner, or family celebration. Son came into town with his girl friend. We wanted to treat them to one of the best Italian meals St. Louis has to offer. As usual delicious food, excellent service and atmosphere. We always enjoy going to Lombardo’s, one of our favorite restaurants in STL. Yes- i would recomend- food was good but service wasnt great . Brought wrong wine bottle to table after already had come back to table after order to claify. Most disappointing was they brought out salad after half of main entree was already gone - and thought nothing of it. As always, the evening was an enjoyable one with good food, good company, attentive service, comfortable surroundings. Excellent food, excellent service. Dined with my daughter who has celiac disease. The waiter was excellent in addressing our concerns of cross-contamination with gluten. He was extremely cautious and knowledgeable about celiac. The manager came over after dinner to ask us if everything was to our satisfaction, especially since he noticed the special dining request on our reservations. I can not say enough about the service and personal attention we were given to ensure our meal was prepared properly. It is extremely difficult, if not at times impossible, to dine out when someone in your family has an autoimmune disorder. I took for granted the pleasure and convenience of dining out, that is until that privilege was eliminated from our lifestyle due to a serious disease. Thank you to the Sunday evening staff at Lombardo's! I am so sorry I don't remember your names to thank you individually. 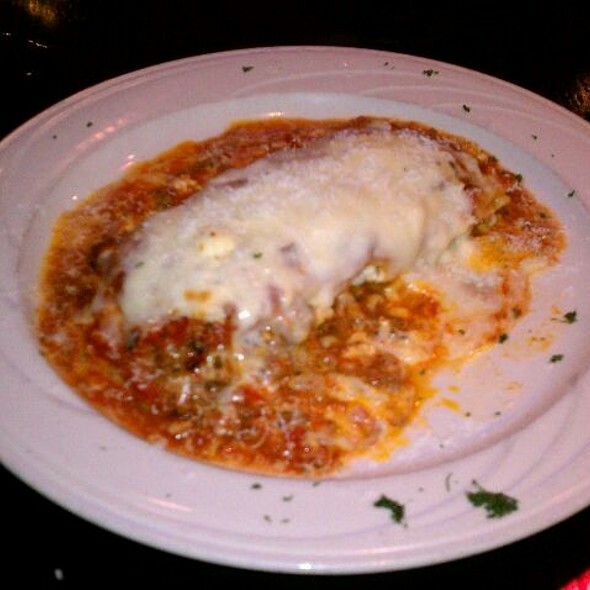 We definitely will dine again at Lombardo's due to service and of course the excellent food! 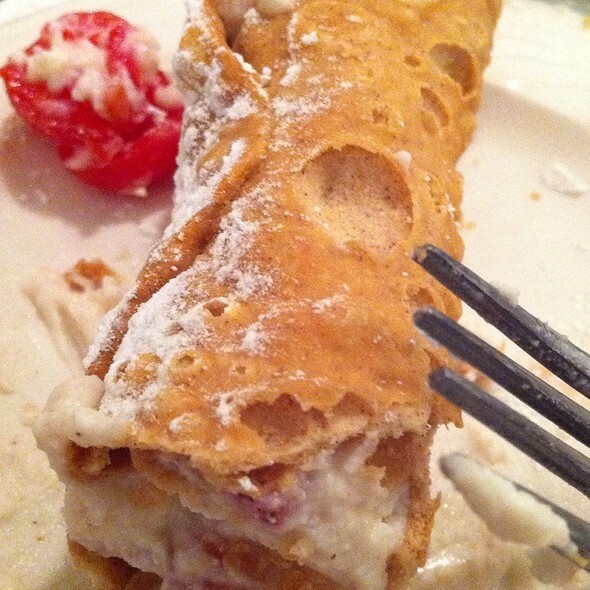 Lombardo's is a nice Italian restaurant with a diverse menu and daily specials. It has an old school feel to it and is worth a visit if you have never been there. The whole experience for our group from being seated to service to food was truly outstanding. The food was good, but the entrees were not quite as hot as we would have liked. Our server seemed to be much more attentive to other diners than he was to our party. I assume he forgot to bring our food until it had cooled off some. A Los was late getting refills for drinks. Our server was fantastic. Dina was her name I think. She had great suggestions! Dinner before Buble. Service was overwhelmed with pre concert dinner. Always love Lombardos for our preconcert, Birthday and Anniversary dinners. They treat you exceptionally well and the food never disappoints! Our server was wonderful. Great food before a concert. Dinner before Michael Buble concert. I loved that they have a “concert” menu on concert nights so that you are served so quickly. I highly recommend reservations, though, on concert nights. Food was excellent. Even the dinner salad was amazing. Will definitely go back! Nice dining experience. Cool setting in a revitalized old building. Convenient location. Great service. A Great place to go before a concert at Enterprise Center or the Peabody Opera House for a quick meal and drinks. Catch an Uber a couple of blocks from the front door to the show. A quick walk back after the concert. We did not get our food in time to eat so I can't judge the food but the kitchen was slow the night we went. A great dining experience. 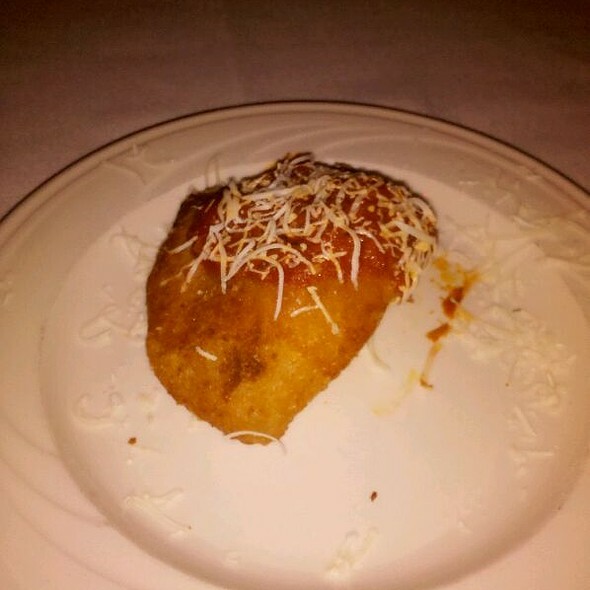 The best Veal Parmigiana ever! Toasted Ravioli was out of this world. An outstanding meal, great service with great pace. Highly recommend!! They were very busy but we received excellent and immediate service. As always, foid and server were excellent ! Remains my “go to” location for quality Italian food. Amazing and awesome service!! Can’t wait to come back!!!! Food was was bland and didn’t seem fresh. 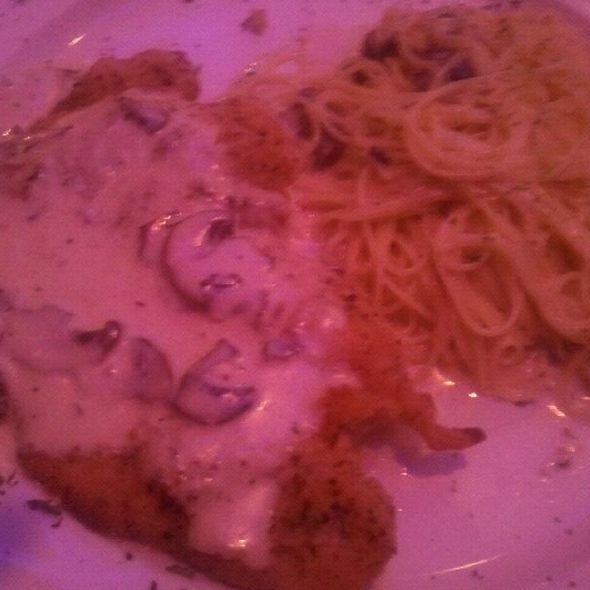 I ordered chicken parmesan and it was soggy and spaghetti had no flavor. I won’t eat here again. Delicious food every time. Never had a bad meal here. Shrimp Dijon is my favorite. This was our second time at Lombardo's and is was just as good as it was in 2012. Will come again on future trips to St. Louis. Would absolutely recommend - the location, caliber of the food, and great attention from the management and staff made everything about our visit wonderful. We cannot wait for another opportunity to visit soon! We had a lovely dinner before the Garth Brooks concert. We started with 2 appetizers of Calamari & Toasted Ravioli, both were great. I brought two friends because the food is always delicious & the service is fantastic! Every year a large group of us dine here. We come back each year due to the great food, awesome service, and perfect ambiance. A reservation is suggested due to the size of our party. We have had many things on the menu and everything is great! The wine selection is good and so is the beer selection. I suggest this restaurant at least once while visiting St. Louis. Very nice, food and service were very good. Atmosphere quiet and charming. The food was excellent! The entire staff was very friendly and helpful. The ambience was great! We love this place and the food is the best. It was very busy Saturday night and we still received wonderful service and our meal was wonderful! Great food & service. Tony Lombardo is exceptional at making you feel welcomed and appreciated. Fabulous service. Food was great! The toasted ravioli was the best I’ve ever had, however the Tiramisu was disappointing. Fantastic food, great environment, and friendly staff. It is always an amazing experience! We've had Aaliyah the past 2 visits and she is absolutely phenomenal. We will request her everytime we come back! We had a wonderful time! We went here for valentines day and were impressed by the atmosphere, great service and fair price point, the icing on the cake was every woman got a rose at the end of their meal for valentines day! The entire staff was very friendly! We will for sure be back! Good food, service was very good but a bit overwhelming.